Ohh I love pictures of products when they're new. 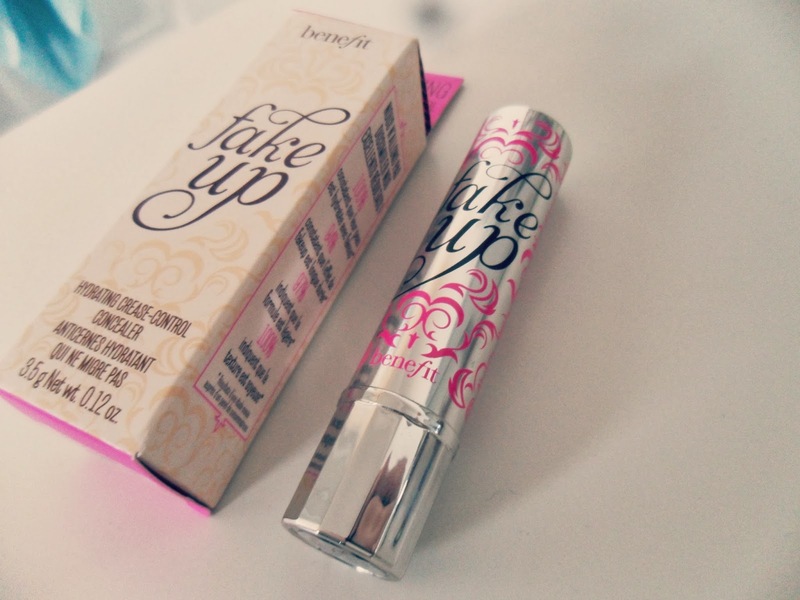 I assure you this is not what this Benefit Fake Up looks like now after months of love! I bought this in with all the boots points I'd built up over Christmas (so it doesn't really feel like money!) It's a bit on the pricey side at £18.50 and I'm in two minds whether I'd repurchase it. 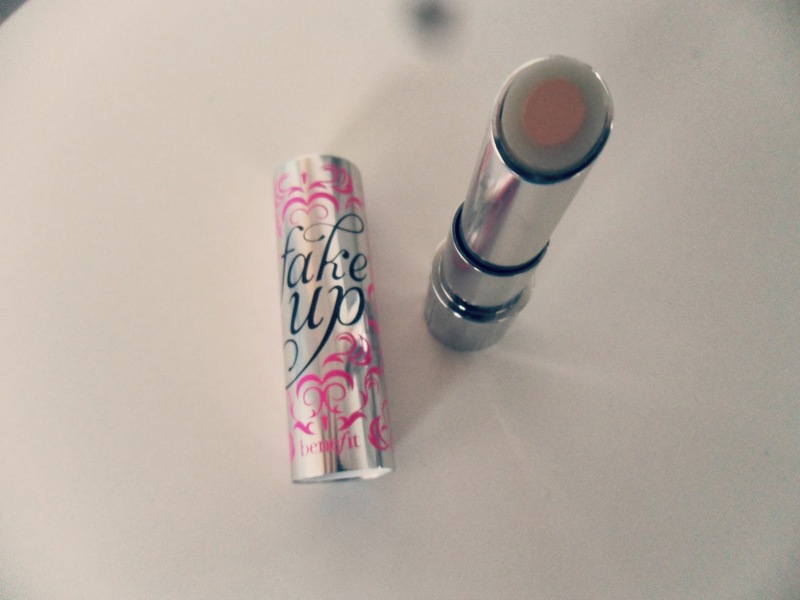 On one hand it is a really nice concealer, and it's going to last ages because it's in a twist up tube. And on the other hand £18.50 is pretty expensive when you can also get equally good concealers like my forever favourite Collection Lasting Perfection for like £4. 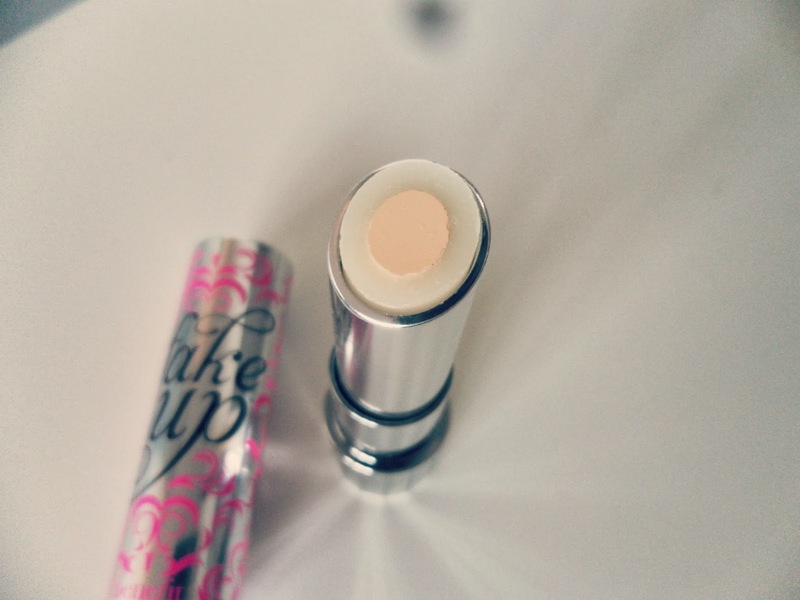 It's a bit of a different concept; concealer with a moisturising ring designed to moisturise your eyes as well as providing coverage. 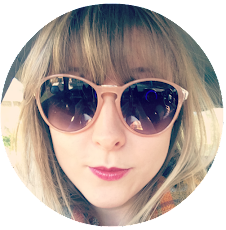 It's so creamy and lovely and glides on really smoothly, I usually draw a V under each eye and then pat it in with my ring finger. It doesn't provide a great deal of coverage but the moisturiser also really helps to boost the appearance of tired eyes. It's not cakey or drying and it doesn't crease, it just brightens and refreshes eyes giving a glowy natural look. 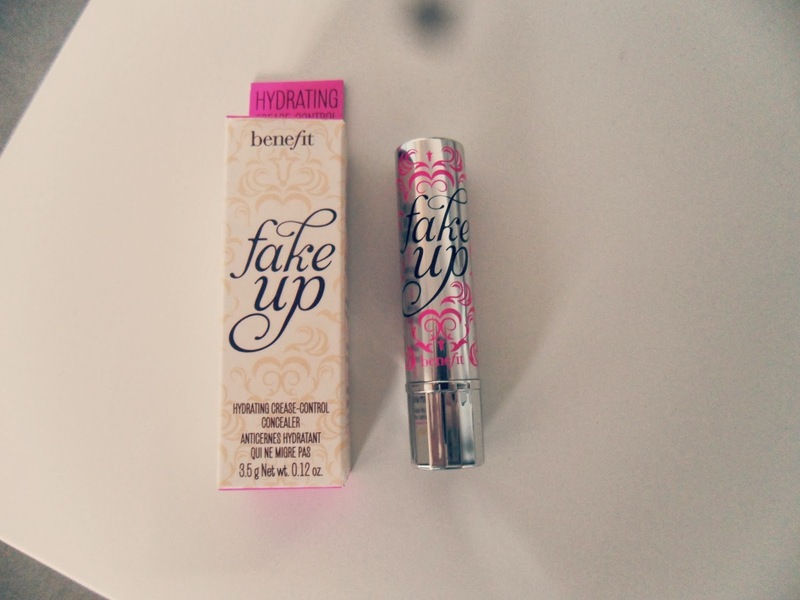 I also really love the packaging, as with all Benefit products it's pretty and elegant and feels expensive! I only really use this on my under eyes with a light dusting of powder to make it last, however when I've tried to use it on blemishes I have found that quite an extreme amount of powder is required to make it stay put! So overall; lovely on eyes for a natural look, quite expensive but lasts a long time, and only really for use under the eyes. Have used this or are you thinking of giving it a try? How much would you normally spend on concealer? I got the shade Light 01. Buy here.